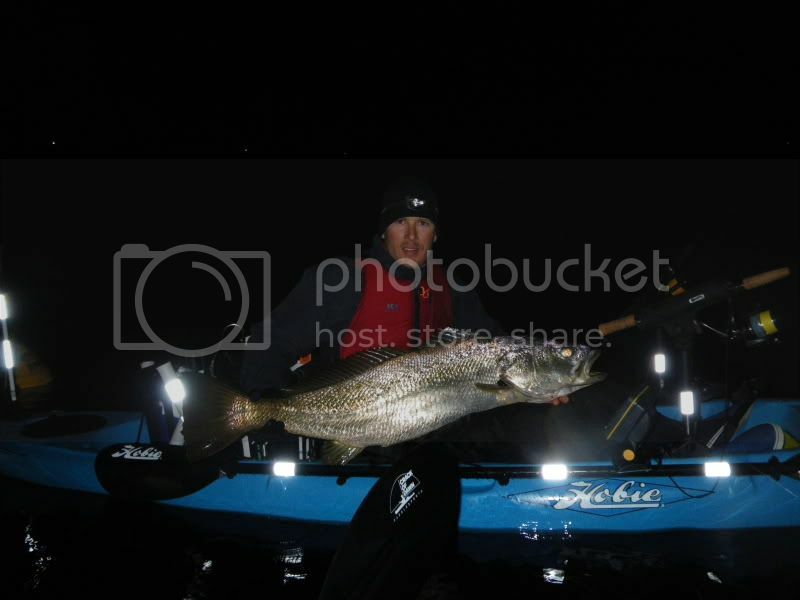 Hobie Forums • View topic - Bronze Beauty! Caught this beauty in the Swan River, right on the doorstep of the City of Perth. Went 118cm, and over 15kg. Superb fish! We call them Mulloway, very similar to White Sea Bass in the US. Awesome Fish There Shufoy! Time to fire up the barbie!!!! Nice fish shufoy! Way to get 'em. Yep, looks almost identical to a WSB. BTW about 46.5" and 33#'s for us yanks. Wow, look at the size of the tail on that thing. I agree. Very similar looking to White Sea Bass ?